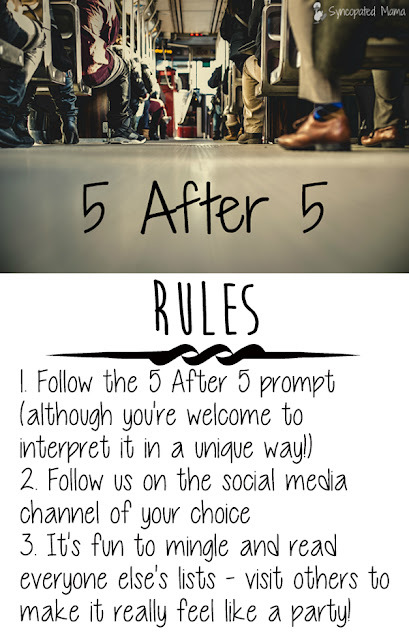 Welcome back to the 5 after 5! After a long week come and share your list of 5! Each week we will have a new topic for the following Saturday! 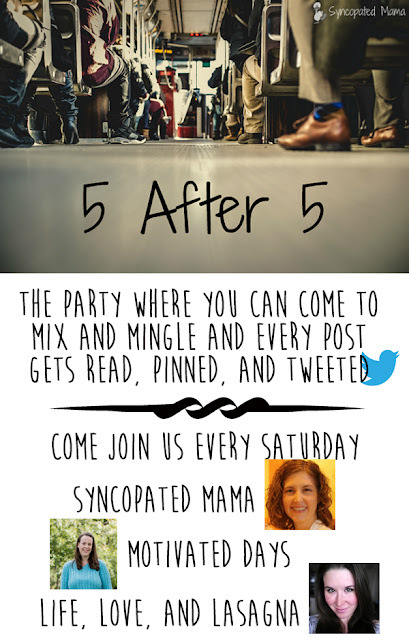 So think of your great 5 After 5 List and come link up with us! This week is Favorite Fall Soups. We love soup around here. We usually serve it as a side at lunch 😀 As we are heading into cooler weather it is the perfect thing for dinner a long with some homemade bread! One of my hubby’s favorite! Just recently I started making soup in large batches so I can freeze some and pull it out when needed! This is hands down our favorite soup! My 3 yr old LOVES french onion soup actually I think she would choose this over mac ‘n cheese she loves it so much. I haven’t found a recipe that I just love for making this sooo when we do go out to eat it is a special treat! This is my hubbies favorite. I make it just for him! I love chili my hubby not so much. This is the same just renamed as we don’t but chili seasoning in it. This is very mild form of chili with lots of meat. And we just came up with a fun name. My hubby likes soup as a side at lunch most days. I buy Red Bob mixed bean/lentil and add veggies, diced tomatoes, and broth and let it cook in my crock pot all night. I freeze it in quart size bags. Just take out when I need it. This is my favorite. Which I only have when we have Panera Bread (which is not very often). My hubby doesn’t eat cooked dairy (except pizza) so I don’t make this it home. What favorite fall soups do you plan on enjoying? Thanks so much for stopping by the 5 After 5 this week! Link up your post or leave a comment with your favorite soups! Have a awesome weekend!! Next week 5 after 5 Topic is Favorite Pumpkin Recipes! I love the cow bean name you gave to your chili! So fun! I could have easily also included French Onion, broccoli cheddar, and loaded potato soup – we love soup!